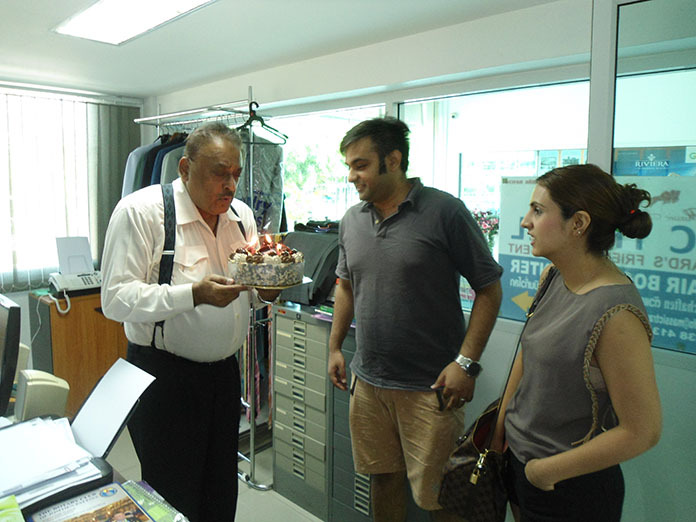 Hoteliers and loyal readers made their way to the Pattaya Mail Publishing Group’s office to congratulate Managing Director Peter Malhotra on his 65th birthday. 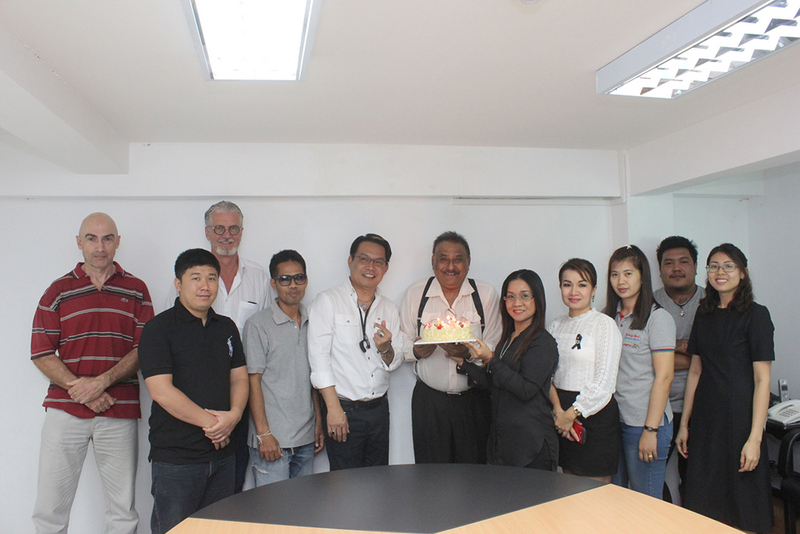 A small group of the Pattaya Mail family gather around to sing happy birthday to the chief. Peter’s son Dave and his wife Sheetal arrived with a second birthday cake, bringing some surprise to the Feb. 21 affair at the paper’s Thepprasit Road office. Throughout the day, representatives from hotels and followers of the newspaper paid visits to wish Peter a happy birthday, with more than a few leaving gifts and flowers. 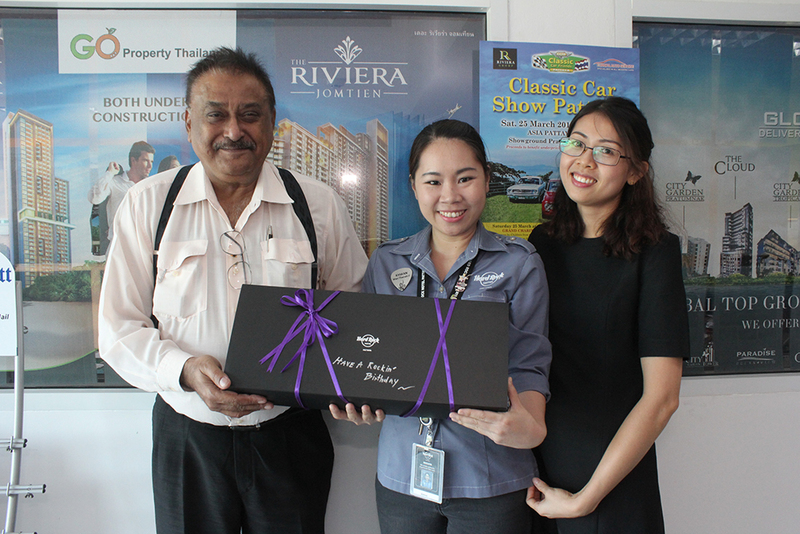 Amari Pattaya representatives present a gift to Peter. Representatives from Hotel Baraquda wish Peter a happy 65th birthday. Hard Rock Hotel Pattaya told Peter to keep rocking. Dad blows out the candles on the very special cake that Dave and Sheetal brought for him. The publisher thanked his staff and guests for making his day special and he also gave a short fatherly talk on the objectives and goals set for the company. He urged everyone to work together to maitain the highest quality and standards of our publication. More importantly he asked us to love each other as one big family and to help each other overcome any difficulties both in our personal and professional lives. Next articleSo you want a Pagani? Captain’s Corner refurbished and George Sinatra resurrected!